The Lions struggled last season after not playing football in 2010, finishing just 3-8 in 2011. Opening their 2012 campaign against the Missouri Tigers on the road does not bode well for them. Assuming James Franklin’s shoulder is back and ready to go, this should be nothing more than a run through for Missouri’s SEC schedule. Missouri wins 55-14. Mizzou plays their first ever SEC conference game at Faurot Field against the Dawgs. While the Dawgs won the SEC East last season with a solid 10-2 record, in six of their seven SEC wins they won by less than 10 points. And those wins weren’t even against top competition either – Vanderbilt, Kentucky, Florida, Mississippi, Tennessee and Mississippi State. Those teams were a combined 30-42 last season. Their lone SEC win by more than 10 was a 45-7 thrashing of 7-5 Auburn. Against teams with 10+ wins, Boise State, South Carolina, LSU and Michigan State, they were 0-4. On top of that, leading rusher Isaiah Crowell is gone. Mizzou has lost at home once over the last two seasons, which was against Oklahoma State last season. James Franklin struggled early on last season, but by the end of the year, he looked like he was on the verge of figuring things out. I expect him to have a huge year, with the help of T.J. Moe, Marcus Lucas, top recruit Dorial Green-Beckham and more at the WR position. The atmosphere for the first SEC game for the Tigers will be electric, and Missouri wins 28-24. In James Franklin’s second start last season, the Tigers went to Tempe, fell behind the Osweiler led Sun Devils, but rallied to send the game into OT before eventually falling 37-30 in OT. Osweiler is gone, defensive leader Vontaze Burfinct is gone, and the Tigers are both more experienced and at home. I don’t expect this one to be close. Missouri wins 42-17. Losing receiver Alshon Jeffery will hurt the Gamecock’s passing game, but the return of All-American caliber running back Marcus Lattimore gives their offense the boost it needs to compliment quarterback Connor Shaw. Defensively, Devon Taylor and Jadevon Clowney lead a terrifying pass rush for South Carolina. They will get in Franklin’s face all day long, disrupt the Tiger’s passing game, while Lattimore runs over the Mizzou defense, leading South Carolina to the first win in the battle of Columbias, 35-24. A lot of folks will sleep on the Golden Knights because they were 5-7 last season; however, it can’t be forgotten that they were 5-1 at home, and won 11 games in 2010. This looks like a huge trap game for Mizzou, sandwiched between South Carolina and Vanderbilt. I think UCF will lead for the majority of this game, but James Franklin will pull off a fourth quarter comeback to save face and win the game for the Tigers, 31-28. After two games away, Mizzou is happy to get back home again, hosting the Commodores, who are coming off a bowl last season. Vanderbilt coach James Franklin brings his improving squad to Columbia against a formidable opponent. Jordan Rodgers, brother of Packers QB Aaron Rodgers, will lead a very good passing game against a Mizzou secondary that was exposed at times last season. I expect to see a good old fashioned shootout, with E.J. Gaines, Mizzou’s potential all-SEC corner, making a big play at the end to seal a 34-27 win for Mizzou. Well, this may be the most interesting game of the season for Mizzou or the least interesting. The champions of the Bull Crap System come to Columbia in a game that might present danger for the Tide. The Tigers are tough at home, and Alabama lost a lot of talent from the defensive side of the ball. Against James Franklin and Missouri’s high flying offense, Mizzou has at least a chance. But in the end, Eddie Lacy and the Tide’s running game will be too much for the Tigers and Alabama wins, 31-21, with a score late to seal it. The 101st Homecoming in a new conference. This game may have an even more electric atmosphere than the Alabama game, or even the 100th Homecoming. While Kentucky had a decent defense last season, they struggled to put up points, ranking 114th out of 120 teams in college football. They are going to need to put up points in order to stay with Mizzou in Columbia. This one figures to be a blowout. Mizzou wins 45-16. Heading to The Swamp is no easy task. Even if Tebow isn’t at QB for the Gators. The Gators struggled to score points last season, averaging only 25.5 ppg – 71st in the country. Factor in a new QB, no Jeff Demps and no Chris Rainey. But the Gators have a very good D, which returns almost all their starters from last season. While Mizzou has had a good season up to this point, fatigue will start to settle in, and on the road, against a tough opponent, the Tigers won’t have enough. Florida wins 24-17. Tennessee – a once storied program that hasn’t won 10 or more games since 2007. Derek Dooley has been very mediocre since taking over for Lane Kiffin at Rocky Top in 2010, compiling an 11-14 record in two seasons. Tyler Bray is a very skilled quarterback, but has been unable to stay healthy. Like Florida, they struggled to score points last season, ranking 106th in the nation. But, a formidable defense gives them hope. They ranked 36th in the nation in points allowed. At Rocky Top, I think Tennessee pulls out a game that could go either way, 24-21. After dropping two straight road games, Mizzou comes home against the last team that they have scheduled for the season, the Orange. Ryan Nassib may be an all-Big East QB, but he will look overmatched in this one. James Franklin will have a huge day, particularly since he won’t have Chandler Jones, the former Syracuse pass rushing terror, breathing down his neck. Missouri wins 38-17. Making a third straight trip to College Station is not what it used to be. Texas A&M has been up and down for the last decade. Mizzou has won both match-ups the last two years, winning convincingly in 2010 with Blaine Gabbert at the helm, and pulling out an OT nail biter last season. Now, Tannehill, Jeff Fuller and Cyrus Gray are all gone, as is coach Mike Sherman. Missouri was the better team in 2010, Texas A&M had the better team in 2011, and Missouri has the better team this season. No reason why the Tigers shouldn’t pull off the three game sweep as long as all Mizzou’s key players are healthy. Mizzou wins 38-13. Thursday, Friday, and Saturday featured many storylines and many heated rivalries. (#3) Arkansas 17, (#1) LSU 41: The Razorbacks kept this game close through 3 quarters, but LSU took control in the end and look to be headed to the title game. In fact, they are so far ahead in the polls and computers, they could lose to Georgia next week, and still remain #1 or #2 in the BCS. (#2) Alabama 42, Auburn 14: Alabama leads the country in most defensive categories, and they showed it this year’s Iron Bowl. Auburn tried to keep it close, but the Crimson Tide ended up dominating the Tigers and seem very likely headed to the title game. (#13) Georgia 31, (#25) Georgia Tech 17: Georgia has won 10 in a row after dropping their first 2, and now they will play top ranked LSU in the SEC championship game. (#22) Notre Dame 14, (#4) Stanford 28: Andrew Luck had a pretty good day throwing for 233 yards and 4 touchdowns, but now it’s up to the voters to determine his Heisman fate. UCLA 0, (#10) USC 50: Matt Barkley threw for 6 touchdowns as the Trojans dominated the Bruins in every aspect of this game. However, due to NCAA sanctions, UCLA (now 6-6) is actually playing in the PAC-12 title game next week against Oregon while USC’s season is over. Ohio State 34, (#17) Michigan 40: With both teams undergoing serious changes in their programs, this game still didn’t disappoint. Michigan won for the first time since 2003 and Ohio State will finish the season with a non-winning record for the first time since 1999. Texas 27, Texas A&M 25: These two rivals played the final game between them (for now) as A&M heads to the SEC next season. The Aggies were in control, but they were outscored 17-0 in the third quarter and ended up losing on a last second field goal. (#8) Houston 48, Tulsa 16: Houston joins LSU as the only other FBS team in the country without a loss this season. If they win the Conference USA championship game next week, they should be assured a BCS bowl game. Maryland 41, North Carolina State 56: In a game which meant nothing in the ACC Championship race, NC State trailed 41-14 in the third quarter, but went on to score 35 unanswered points and came up with the biggest comeback in school history. Illinois 7, Minnesota 27: Finally, on Saturday, the Illini capped off one of the biggest collapses in the country. They began the year at 6-0, but finished the season an improbable 0-6, and on Sunday, coach Ron Zook was fired. Tennessee 7, Kentucky 10: The Wildcats snapped one of the longest streaks in the country beating their SEC rival for the first time since 1984. Heisman hopeful Andrew Luck threw for 271 yards and three touchdowns, but was also responsible for two interceptions and a lost fumble in the Cardinal’s first loss of the season. Stanford’s schedule has been fairly soft up to this game, so this loss is a huge hit for their credibility. For the Ducks, running back LaMichael James rushed for 146 yards and 3 touchdowns, showing he is a true playmaker and will be a great addition to whatever NFL team drafts him. All of the sudden, Oregon has replaced Stanford as the Pac-12 team that could slip into the title game should a team in front of them stumble. With the 4 extra periods of play, Kansas State quarterback Collin Klein was able to throw for a career-high 281 yards, and account for six touchdowns in the air and on the ground. The Wildcats were able to come up with yet another dramatic victory while handing A&M another heart-wrenching loss. The Aggies put up good numbers with running back Cyrus Gray rushing for 218 yards and two touchdowns, and QB Ryan Tannehill throwing for 210 yards and 3 touchdowns, but they still came up short. 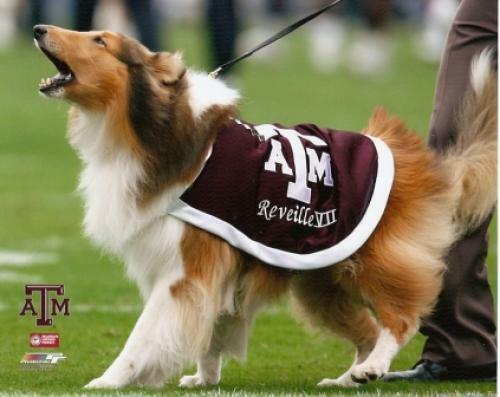 It’s amazing how far Texas A&M has fallen since being #9 in the preseason poll; now, they are sitting at 5-5 and must win one of their last 2 games against Kansas or Texas to even become bowl eligible. Not only did this game end the Broncos chances at a BCS bowl game, but now TCU is in the driver’s seat to win the Mountain West conference as both of their losses are out of conference. Boise State actually had a chance to win the game on a last second field goal, but the 39-yarder just missed thus snapping the nation’s longest home winning streak at 35 games. Kellan Moore was once again great throwing for 320 yards and 2 touchdowns, but this game was about the other quarterback – Casey Pachall. He hasn’t been given much credit this year, especially since he has to follow in Andy Dalton’s huge footsteps. However, throwing for 473 yards, tossing five touchdowns, and completing a crucial 2-point conversion to give his team the final lead established himself as a legitimate quarterback. Even though this is Boise’s only loss so far and is against a decent opponent, a loss for Boise State always means so much more due to their relatively weak strength of schedule. With Stanford and Boise State both losing, a spot in the title game is now the Cowboys’ to lose. They have been completely dominant lately, and Saturday was no different. Less than a minute into the second quarter, the score was 41-0. Enough said. Right now, an LSU/OSU matchup seems most likely, but anything can still happen. OSU is at Iowa State next week and finishes the season at home against in-state rival OU (who by the way has won 19 of the past 20 matchups). On the other hand, Texas Tech has just been awful ever since upsetting the Sooners in Norman a couple of weeks ago. That’s bad news for Oklahoma, as that loss to the Red Raiders looks worse and worse every week. If LSU or OSU slips up, voters are probably going to consider Oregon, Alabama, and Stanford over the Sooners due to the nature of their 1 loss. (#1) LSU, (#2) Alabama, (#3) Oklahoma, (#4) Wisconsin, (#5) Boise State, and (#7) Stanford were completely dominant with the average margin of victory in these six games being 40 points. This set of Spartan seniors becomes the first group to sweep the Wolverines four years in a row for the first time in this rivalry since 1959-1962. Being the primary source of the Wolverine’s offense, Denard Robinson having 289 fewer total yards than he did in his previous game hurt Michigan in their loss. Braxton Miller, the Buckeyes’ quarterback, completed only 1 pass the entire game, but it was a touchdown pass that put the game out of reach. The Fighting Illini showed their true colors in this game, playing a somewhat decent opponent. Georgia Tech is known for its running attack, but Virginia had the exact same number of net rushing yards on the day, 272. Georgia Tech’s Tevin Washington having as many interceptions as he did completions (2) and Virginia blocking the Yellow Jacket’s last field goal attempt sealed the deal for this game. OSU maintains its status as a national contender with the matchup against the Sooners looming at the end of the year. Texas’s 4-0 start was promising, but they still have a long way to go to get back to where they want to be. Figuring out who is their quarterback for the future should be a main priority. Ryan Tannehill threw a career-high 6 touchdown passes, 4 of which were caught by Ryan Swope, a career-high for him as well. Even though this game ended up being a blowout, it should be noted the Aggies were up 31-14 at the beginning of the third quarter and Baylor fought back to make it a 34-28 game. However, A&M just kept making the big play when necessary – something they’ve struggled to do the past few weeks – and won handily. After a tough opening weekend loss to LSU, the Ducks have torn through their schedule scoring an average of 53 points per game. They even took care of Arizona State with their primary source of offense – LeMichael James. Their last real test looks to be at Stanford on November 12th. This was a huge statement game for the Badgers, and it looks like they are real title contenders this year. Nebraska’s QB, Taylor Martinez, threw no touchdowns and three interceptions while Wisconsin’s QB, Russell Wilson, threw two touchdowns and no picks. Furthermore, throwing 13 touchdowns along with only 1 interception and having a passer rating of 216.9 (second only to Robert Griffin) proves to me this man should be in the consideration for the Heisman. An interesting test awaits Wisconsin, though, because starting October 22, Wisconsin will play 4 of 5 games on the road. In a game which played out eerily similar to last week’s A&M/OSU game, the Aggies outscored the Razorbacks 35-17 in the first half, but were outscored 3-25 in the second half. The A&M staff is going to have to try and figure out why their team isn’t able to hold leads in big games after halftime. 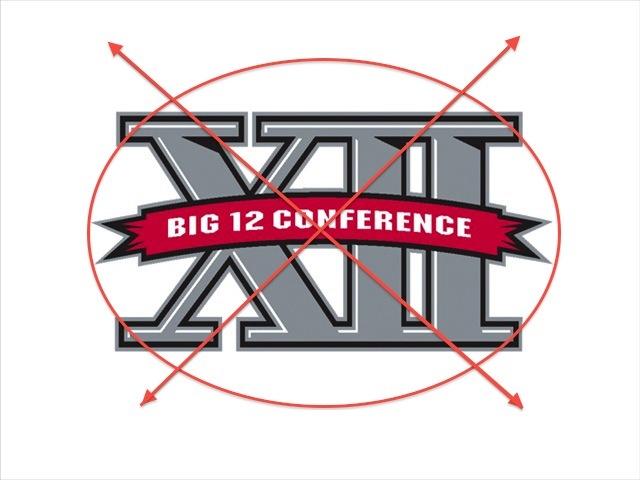 In a year in which they were supposed to take a jump into the elite field of the Big XII has actually turned into a last place ranking – currently – in the Big XII. On the other hand, this is a big win for Arkansas to add to their resume as they prepare to begin their treacherous SEC schedule. Something else to keep in mind: the Aggies are going to have to face Arkansas every year when they join the SEC. Robert Griffin is having an award-winning year, but his first interception of the season ending up leading to Baylor’s first loss of the season. Griffin ended up with 346 passing yards and 5 touchdowns, but that one pick ended up determining the game’s outcome. If Griffin wants a chance at winning the Heisman, he will need to push his team to rack up more wins because without that wins, he won’t get any recognition. Now, the Wildcats are an improbable 4-0, but they will really be tested at the end of the season when they play OU, OSU, A&M, and Texas on consecutive weekends. In a match where defense was put on display, Clemson came out on top and prevented Virginia Tech from scoring a touchdown in a home game for the first time in 16 years. Leading the team to first place in the ACC Atlantic and effectively controlling the offense, Tajh Boyd has definitely showed his play-making ability and his command of the field. The Tigers have now beaten ranked opponents three weeks in a row and, they should be favored in most of their upcoming games, but a matchup at undefeated Georgia Tech looms at the end of October. SEC Note: With South Carolina and Florida both losing, Georgia all of the sudden has life again in the SEC West even after their terrible 0-2 start. On top of that, Arkansas, LSU, and Alabama are not on the Bulldogs schedule this year. At halftime the Aggies had built a 20-3 lead and were dominating all aspects of the game. Many viewers probably had this one written off at this point. However, the Cowboys came out strong in the second half scoring 27 unanswered points and holding A&M to just one first down in the third quarter. This was an incredible performance that puts Oklahoma State in the national championship race while dealing a huge blow to the Aggies who just can’t wait to leave the Big XII. Geno Smith, the West Virginia quarterback, had a monster day setting school records for completions, attempts, and passing yards (463), but the LSU defense was able to, once again, capitalize on mistakes. West Virginia was probably over-ranked, but it still was a very impressive win by LSU who now has beaten 3 ranked opponents on the road. On November 5th, the Tigers travel to Tuscaloosa to take on Alabama, and that game might turn out to be the game of the year. I expect the winner of that game to be a favorite in the national championship. Amazingly, Florida State was starting a freshman quarterback because their starter was hurt last week against Oklahoma, and he actually held up really well. He had 336 passing yards and 3 touchdowns keeping his team in the tight contest. Rodney Smith and Rashad Greene also carried a lot of the load, collecting 216 receiving yards combined. Clemson’s quarterback, Tajh Boyd was just as good though, passing for 344 yards, throwing 3 touchdowns, and running in another. The Tigers were able to hold on in the end, and Clemson is now 4-0 for the first time in 5 years, and they look like they will be a dominant force in the ACC this year. Arkansas needed this game to show that they are contenders. Unfortunately for the Razorbacks, all we saw was how dominant Bama’s defense is right now holding them to just 17 yards rushing. Alabama’s allowing just 8.0 points against a game, which is 2nd in the entire FBS behind Temple. Most of the Crimson Tide’s offense came from Trent Richardson who ran for 120 yards and also caught a 61 yard touchdown. Next week, Nick Saban takes his team to Gainesville to take on Will Muschamps’ Gators (4-0) which should be an interesting matchup. No, Texas has not seceded from the United States, but Texas A&M has in fact become an official seceder. The Aggie nation came out today and stated that it will cut its ties with the Big 12 Conference by July of 2012, and its most likely destination will be the SEC. The Big “9″ is not looking too good right now as another realignment of college football looks more and more probable as each successive Big 12 team departs (Nebraska, Colorado, and Texas A&M). BYU has been suggested by many analysts as a possible insertion into this dying conference. Texas A&M has publicly voiced their financial reasons for this move, and it makes sense in this regard. But there appears to be an underlying reason for the parting with their current conference: those Longhorn bullies. Now, leaving a conference is not necessarily a bad thing; it can allow an organization to become more economically stable or join a more reputable conference (look at TCU). The problem I have with this situation is if A&M’s departure is largely because of UT. It is true that Texas signs many recruits that might otherwise go to A&M, and Texas also has put together a television network (with many complaints from A&M along the way) before A&M was able to put theirs together. These are indeed tough situations for the Aggies, but are they valid reasons to leave? “Push through” is a common maxim in sports that many coaches use to encourage their players to keep going and not give up. I just get the gut feeling that A&M is simply giving up on the Big 12 because they don’t want to deal with the current pain that Texas deals out. I can’t see worse timing for this either. Texas A&M is coming off one of their best seasons in this millennium (9-4) and looks to be competitive in the upcoming season. A usual Big 12 South powerhouse, Texas is in a rebuilding period with a developing quarterback and a new set of coaches. Shouldn’t A&M take advantage of this current situation and grab hold of the South? An SEC move could possibly drop them back to being a mediocre conference team, while staying in the Big 12 could provide dividends. We’ll have to wait and see if this transition works out for A&M’s program; maybe they will be successful wherever they land. Auburn rose up in the powerful SEC conference, and A&M could have a similar push with the right pieces. However, if they don’t end up being prosperous in their new conference, those Aggies might find themselves missing that burnt orange.